Many parents choose to homeschool preschool in order to give their children a strong foundation in academics and social skills. You don't need a degree or teaching certificate to successfully home school preschool. Here is some information that will help you teach your child at home. Preschoolers learn best in a secure environment where they are free to develop in their own time, without pressure or fear. Far from being ready for independence from parents, most 3 and 4-year-olds need one on one attention, a hand to hold, a lap to sit on, and plenty of hugs. Many parents send their children away to preschool feeling they are perfectly normal, only to be told that their child is "a challenge," "delayed," or "not fitting in." I suspect that it is the classroom that is flawed, not the child. When teaching preschoolers, take care not to re-create school in your home. Here are some tips for homeschooling preschoolers. Here are some ideas for creating discovery centers in your home, and setting up a homeschool preschool art center. Some parents are under the assumption that preschoolers need to be with their peers in order to learn good social skills. However, as a parent volunteer in my oldest child's preschool classroom, I witnessed first hand the teasing, bullying and exclusionary play that occur among children as young as age three. In contrast, home is a wonderful place for children to learn to be kind to younger siblings, negotiate with older siblings, share, handle frustration and help others. When we homeschool preschool, we spend our days modeling positive habits and character traits - the exact opposite of what our children would learn from their immature peers. Your preschool homeschool program should focus on getting your child ready for math and reading, strengthening fine motor skills, and helping your child understand the world around him. identify some letters and beginning sounds. Here is some additional information about preschool reading. use simple mathematical terms like long/short, big/little, heavy/light, etc. Here is some additional information about preschool math. trace his or her name. Here is some additional information about preschool writing. throw, catch, kick and bounce a ball. Here is some additional information about preschool physical education. caring about the feelings of others. You may also want to make sure your children know their full names, their mother and father's full names and their telephone number. Here is some information about preschool science and preschool art. Here are some tips for choosing a formal preschool curriculum. These fun books will help you teach your children about traditional preschool themes like first experiences and community helpers. They are essentials for any homeschool preschool library! There's a Mouse About the House contains a cardboard mouse that fits through slots and flaps throughout the book. As children listen to this entertaining story and move the mouse throughout the pages, they are improving hand/eye coordination, strengthening fine motor skills, and learning prepositional words like over, under and through. This is one of my favorite books for preschoolers! Jobs People Do teaches children about the roles of doctors, veterinarians, chefs, teachers, farmers and firefighters. This book contains adorable claymation illustrations your children will love. The Complete Book of First Experiences contains 9 stories that will prepare your children for experiences like a new house, a new baby, going to the hospital or flying in a plane. This book contains humorous illustrations that will put your child at ease. Follow this link to find out why I recommend Usborne preschool books and learn about additional homeschool preschool resources. On my son's first week in preschool, his teacher told us to bring disposable cameras so she could take photos of our children on special occasions. I thought to myself, "Hey, no fair!" Our children are only little once and those moments can't be recaptured. I want to watch my children learn and enjoy new experiences, and not just see photos of them. If your heart is leaning toward homeschooling, I encourage you to resist the urge rush your child off to preschool. 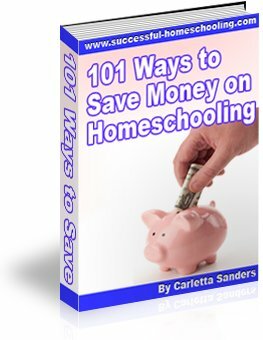 Homeschool and make the most of these precious years! Next, look at some ideas for preschool activities and preschool educational games you can share with your children.